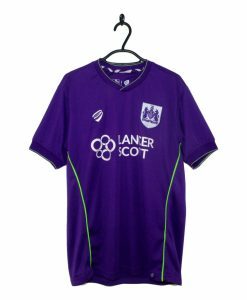 Details: Embroidered Bristol City Badge and Admiral logo, sponsor felt. 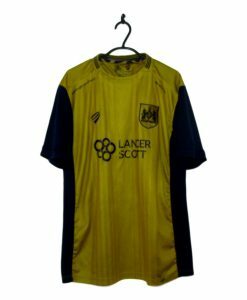 The 2001-02 Bristol City Away Shirt made by Admiral is green whilst the top of the chest and sleeves are coloured black. Thin white piping seperates the two colours. The Bristol City crest is placed on the left breast.